Spritzing on your perfume each day does wonders to help with your mental health. We bet that you didn’t really think about that before. Fortunately, you’re on the right daily track to improving your own mental health benefits by using that good-smelling perfume. Wondering what benefits these are? Let’s take a closer look at each of them below. We’re sure everyone has had the experience of remembering an aunt, grandmother, or friend when you get a whiff of a specific scented perfume. Your senses linked that specific perfume scent to your experience with that person. This experience could be a particular moment in time or just the remembrance of a loved one. Either way, perfume can help you to recall some of the best memories you’ve had and enhance your mood because of those recalled memories. There are a ton of perfume scents out there. Some specific ones will have the natural effect of relaxing the body. These include clary sage, grapefruit, lavender, rose, frankincense, and bergamot. Just having a slight hint of any one of these ingredients, your perfume can surround you with a calming effect. Since the scent sticks with you all day long, you can enjoy the calming experience throughout the entire day. You’ll likely even calm those around you down with your perfume scent. Did you know that certain scents can actually help to enhance your concentration? It’s true and there are many to choose from, so you’ll be sure to find a scent that you love to wear. The most popular include peppermint, rosemary, basil, cypress, and lemon. You can even find these scents within essential oil products. This makes it completely possible to create your own scent by mixing up different essential oil products to achieve the scent and health benefits that you desire. When we have on that perfect outfit with the right perfume, we feel like we can take on the world. 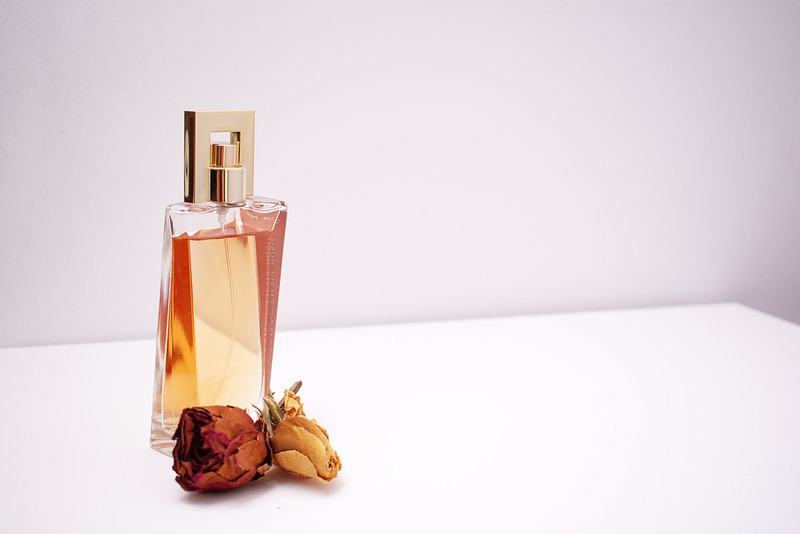 Perfume is one of the many additions you can add to your daily routine to help boost your confidence. When you smell good, you feel good. Plus, you won’t have to worry about any nasty body odor scents throughout the day. The best part is that you can pick a perfume scent that suits your personality or mood for the day. An important part of mental well-being is the physical connection you feel with your significant other. Scents that include lavender, civet, vanilla, musk, and pumpkin all work to increase the libido of the user and the ones that surround them. So, if you want to get your partner in the mood, spritzing a perfume that has at least one of these ingredients can assist you in your task. Plus, you can enjoy your own enhancement in libido every time you wear your perfume. It’s not uncommon for people to experience fear throughout their lives. Whether it’s a big presentation at work or getting the results to a test you took, fear can create unruly anxiety in the body. By using a perfume that has clary sage, grapefruit, lemon, jasmine, orange, or chamomile, you can naturally put your body at ease from fear. It’s a known fact that our emotions are highly linked to our sense of smell. When your body smells these calming scents, it will work to calm your nerves and let you get back in control. Depression can affect the emotions of the body significantly. To help combat these bad effects on the body, you’ll want to include a perfume that has lemon, lavender, jasmine, neroli, sandalwood, chamomile, orange, bergamot, or rose in it. All of these scents are shown to decrease the effect that depression has on the human body. This also works well for helping those who have depression around you. By simply allowing your perfume to radiate the space between you and the depressed person, you can help to decrease their mental health problems. As you can see, there are many mental health benefits that you can gain from wearing perfume on a regular basis. There are many different scents out there to choose from. We highly suggest that you have a few different perfumes on standby so that you can utilize one that fits your mood for the day. There is no reason you shouldn’t be switching up the type of perfume that you use on a regular basis to accompany your mental health needs. Brittany Waddell is a contributing writer and media specialist for Aromatique.She often produces content for a variety of fragrance blogs. Most of us use fragrance in our daily life but who knew that it not only make us smell good but also have mental health benefits. People have no problem popping a pill when needed all in the name of keeping sound mental health. Medication always has side effects though which can have their own issues. If I could just spray something on to help boost my mood or improve concentration that sounds good to me. Aromatherapy has been around for a long tIme and many swear by It. It certaInly shouldn’t be used as a replacement for your doctor’s prescribed treatment plan but can be used alongside it in cases of more serious mental conditions. I must agree with you on the fact that perfume helps in recalling memory. Recently I was sitting at a park and a girl walked past me and reminded me of my ex. It was such a strong connection that I actually caught up with her and asked the name of the perfume she was wearing. It turned out to be the same perfume my ex always wears. I’ve never thought about wearing a fragrance for mental health reasons but it’s something to think about. Well that was a bold move and glad you didn’t send her running off! Hopefully things ended on good terms with your ex or the perfume might have triggered a bad memory. Scents often remInd me of certaIn people, or just as often cetaIn places. It’s really fascInatIng how that works.